Ice Tea On Stove recipe by Marium Hamid at PakiRecipes.com. Place tea bags in heat resistant pitcher. Bring water to a boil, pour water into pitcher over the tea bags. Let steep until desired flavor (anywhere from 15 minutes to 30 minutes) Remove tea bags add sugar or lemon if desired. Stir well. 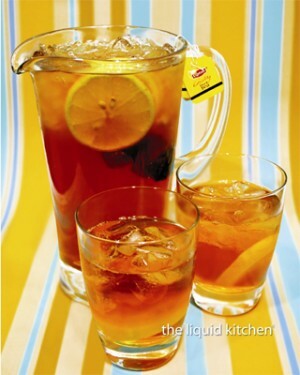 Serve over ice cubes Keep this tea at room temperature to avoid clouding. If tea does become cloudy, restore the clear amber color by adding a little boiling water to the remaining tea.